Here’s something I bet you didn’t know. 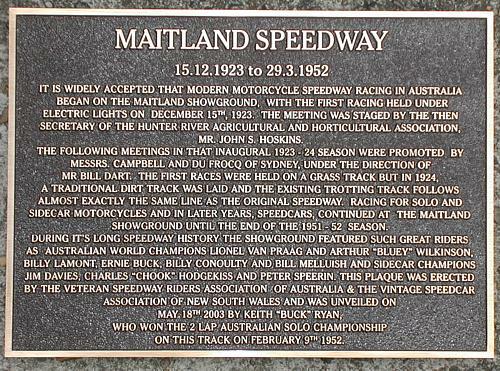 The first ever speedway race was held in Maitland, about two hours north of Sydney, on the 15th of December 1923. Now we’re not saying that us Aussies invented the sport, but I’m proud to say that we had the brains and the lack of civility to see a bike going sideways on dirt while throwing up a bloody great wall of dirt and think “hot damn, that’d make a good night out!” Just for the record, a Norton ridden by a “W. Crampton” won in a time of 3 minutes 37 seconds, with a Harley in second and a Douglas in third. Newspaper clippings from the era suggest crowds of 70,000 were not unusual for the bigger events in the late 20s and 30s. Hell, with that much danger and carnage on offer, why wouldn’t you go? 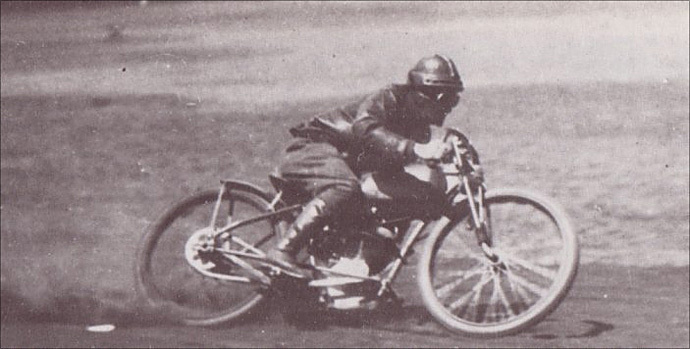 As for the actual technique of speedway riding, we’ve got the yanks to thank for that. 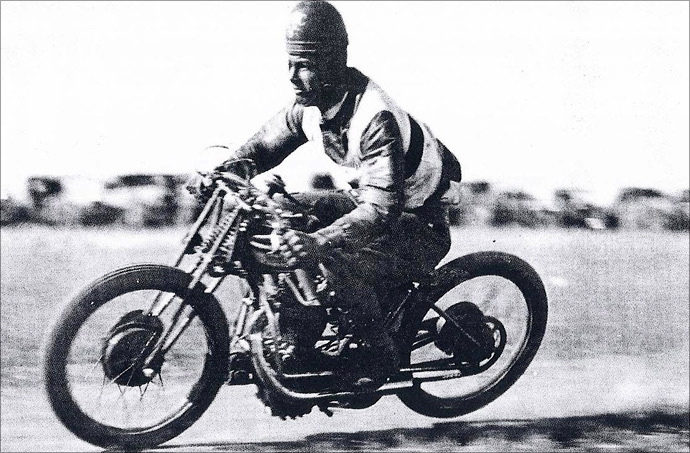 Accounts exist of an American board track racer named Don Johns “riding the entire race course wide open, throwing great showers of dirt into the air at each turn” as early as 1914. One would assume that he was not racing on boards at the time, unless the cleaning teamsters were out on strike that month. Or maybe he was just screwing around in the carpark, post-race. 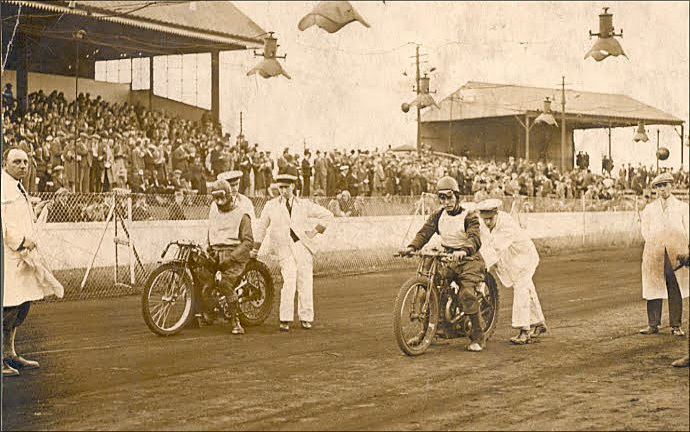 Speedway was introduced into Europe by Australians Billy Galloway and Keith McKay when they raced in Europe’s first Speedway meet at High Beech in England on April 9, 1928. Note that last rule; you can’t a supercharger. Just in case you were thinking of fitting one to your almost-out-of-control dirt monster with no brakes. Despite this, bikes regularly reach 130 km/h (80 mph) mostly thanks to high compression ratios and a good dose of methanol fuel. With no way of stopping, or even shutting off the bikes, riders will lay the bike down and yank out the spark plug lead should they need to stop unexpectedly. Subtle. Finding themselves with a dearth of dirt for many months of the year, Northern Europeans started holding speedway races on ice from 1966 onwards. 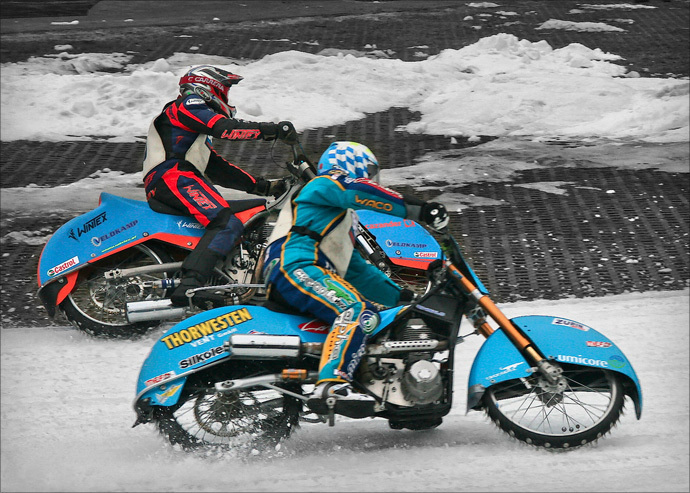 If the Australians were the ones crazy enough to make a sport out of hooliganism, the Europeans have to be given a pat on the back for taking that hooliganism and adding freakin’ enormous metal spikes to the tires of the bikes, enabling race-able traction on the frozen tracks. This also required the use of extended fenders on the bikes to ensure that almost all of the bike’s wheel was covered when not in contact with the ice. Seems like a decent idea, but I can’t see how it would stop other bikes from running over you if you fell in front of them. But hey, why ruin a perfectly ridiculous endeavour with safety and logic? Undoubtedly most early races were mixed with many-a-shot of vodka to ward off the winter chills. Could a sport get any more macho? Just don’t suggest flame throwers – they might actually go for it. 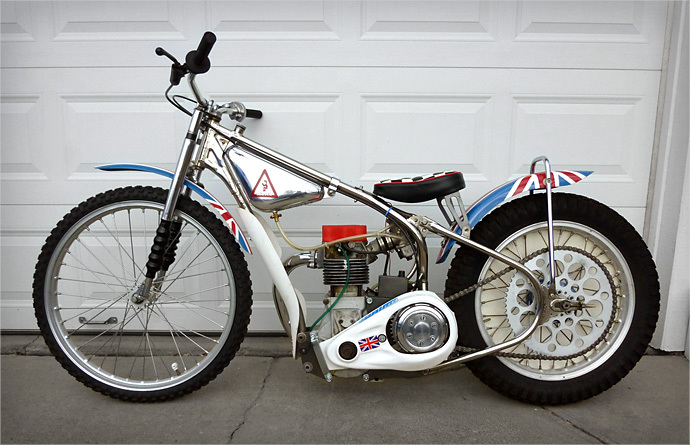 But that’s not all Speedway has to offer us custom bike fans, not by a long shot. As with many great ideas, once the Japanese got hold of it they added their own little twist and managed to make it a whole lot weirder and just that little bit cooler. 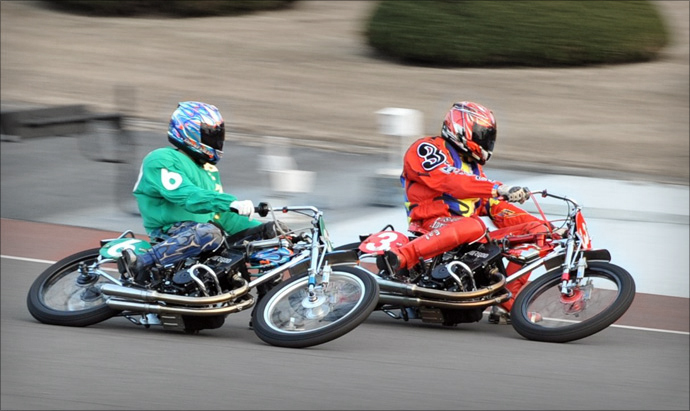 Classic Speedway events were regularly held in Japan from the early 50s, but in the early 60s the Japanese Government banned the sport over concerns that it was too dangerous. So what did the racers go and do? Why, they started holding “Ōto Rēsu” (Auto Race) meets on asphalt, with twice the amount of riders, higher top speeds, tighter turns, and more spectacular accidents. Genius. The addition of gambling ensured the attendance of large crowds until Yakuza infiltration in the mid 60s and race fixing almost killed the sport. An independent Motorcycle Federation took over in 1967 and developed into it’s own unique art form free from corruption and rigging which still runs today.